Cockermouth - a guide to the Cumbrian Town. Official site for Tourist Information Centre. Accommodation and where to stay information, weather. 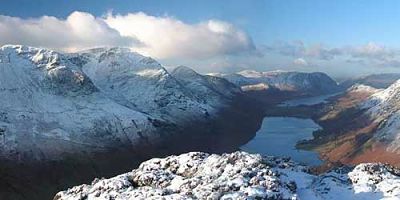 Cockermouth is just eight miles from Crummock Water and the dramatic Lakeland mountains. Cockermouth is a thriving town with medieval and Georgian streets beneath the castle walls. Another excellent drone view from Lee Rielly. Cockermouth is well known for its specialty shops and many art galleries. 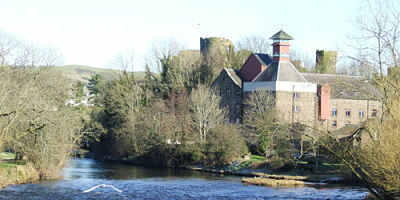 Pictured is the Jennings Brewery nestling beneath the Castle walls. The Tourist Information Centre is now located in the Library Community Hub: Telephone 01900 822634. Featuring Kiki Dee and musical events all across the town. Taste Cumbria is 28/29 Sept and the Taste Christmas market is 7/8 December. 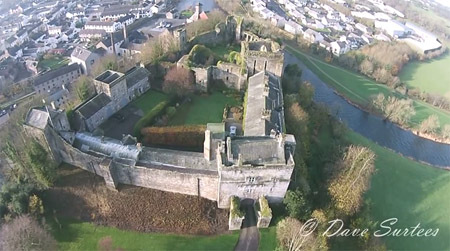 Historic data on past Cockermouth floods. Opening times are: weekdays 10am to 4pm, Bank Holds and Saturdays 10am to 2pm. Cockermouth is noted for its specialist shops.